Metro Gutter & Home Services, Inc. Comment: Small section of copper gutter on corner of house broke loose. Other gutters need support possibly. Comment: House is 69 year-old rambler in North Arlington. Most of the gutters are same age; those on addition in back are just 22. Weâd like slope on front porch segment adjusted, and whole array checked for needed repair or replacement. We have copper rain chains at all corners and want to keep them. Comment: need new gutters Would like the kind that keep out leaves. Arlington Gutter Cleaning & Repair Services are rated 4.66 out of 5 based on 916 reviews of 16 pros. 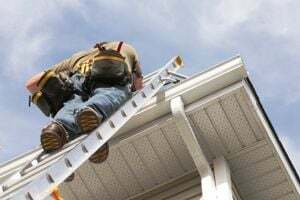 Not Looking for Gutters Contractors in Arlington, VA?